Kernel Recovery, an industry leader in Data Recovery Software, receives a best-in-class 5-star rating from TopConsumerReviews.com. If you’re looking for a smart, friendly, yet affordable data recovery system, Kernel Recovery is a great place to start. 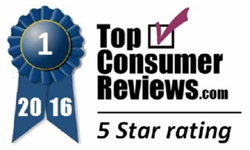 TopConsumerReviews.com recently awarded their highest five-star rating to Kernel Recovery, an industry leader in Data Recovery Software. Data recovery software can be a life saver when the inevitable occurs. A virus attack, computer crash or human error can all spell serious trouble for the precious data, emails and information all stored on a work or personal computer, laptop, or smartphone. A number of highly advanced data recovery software options exist today that do a great job of reversing a computer catastrophe and getting people back on their feet. Data recovery software can vary greatly in functionality, price, features and ease of use. To find out more about Kernel Recovery and other Data Recovery Software, including reviews and comparison rankings, please visit the Data Recovery category of TopConsumerReviews.com at http://www.topconsumerreviews.com/data-recovery/. Kernel Recovery is manufactured by Nucleus Data Recover.com, a product development company that specializes in providing data recovery solutions for both enterprise and home users. Set up in the year 2004, Nucleus Data Recovery has since released many best-selling data recovery tools and has registered growth at the rate of 200 percent annually for the same period. TopConsumerReviews.com, LLC is a leading provider of independent reviews and rankings of hundreds of consumer products and services. From Data Recovery to Internet Filters and Online Backup, TopConsumerReviews.com delivers in-depth product evaluations in order to make purchasing decisions easier.